I just recently discovered Natasha Denona’s makeup line thanks to Beautylish. Her makeup line has been all the rage on social media lately and rightly so. I had the privilege of meeting her in person at IMATS Los Angeles earlier this month and got a sneak peek at the full line. I’ve been testing some of her products for the past month now and have a first look today at her Glowing Skin System. 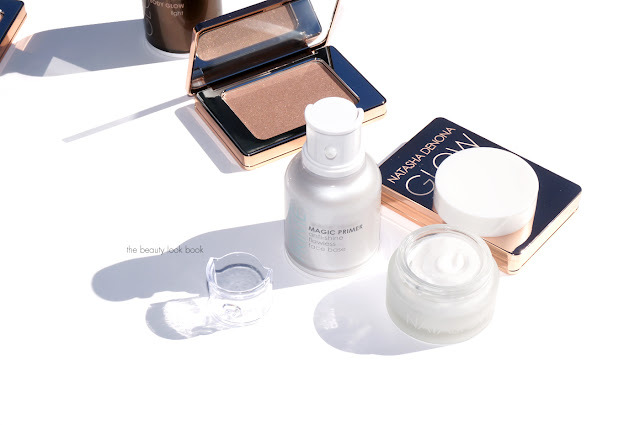 Right now Beautylish carries the items focused around glowing skin. They will carry her full line of makeup by the end of February including eyeshadows, blushes, lipsticks and more. 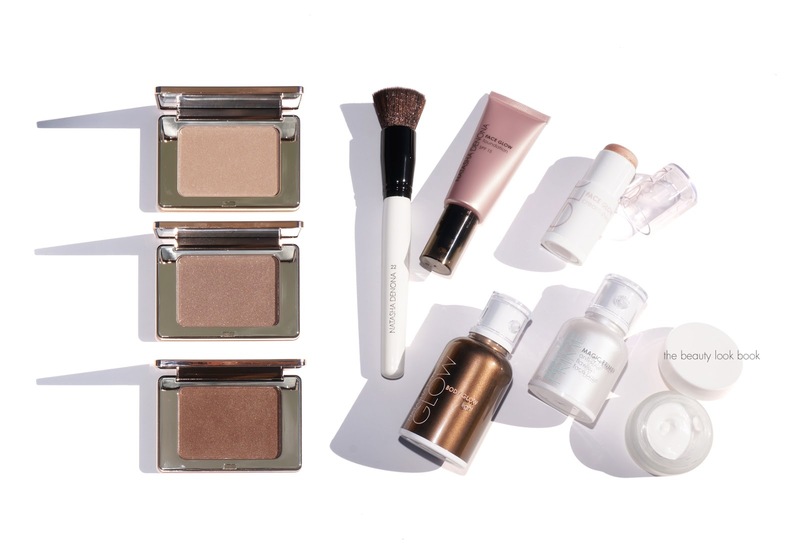 The Glowing Skin System is a five-piece set that includes selected products, all formulated by Natasha to give your skin a natural-looking glow. The set also includes a bonus brush. Based on my skin preferences, the Beautylish team sent me a few items to try. After seeing the line in person at IMATS, I later purchased three more items to test out and compare. First up are some thoughts on the primers. It was recommended that I try the Anti-Shine Flawless Face Base ($55, c/o). Let me preface by saying I am not a primer kind of person. I think primers can make a huge difference in the way foundation lasts and applies, but in general I don’t like the added layer of product on my skin because it usually feels too thick. 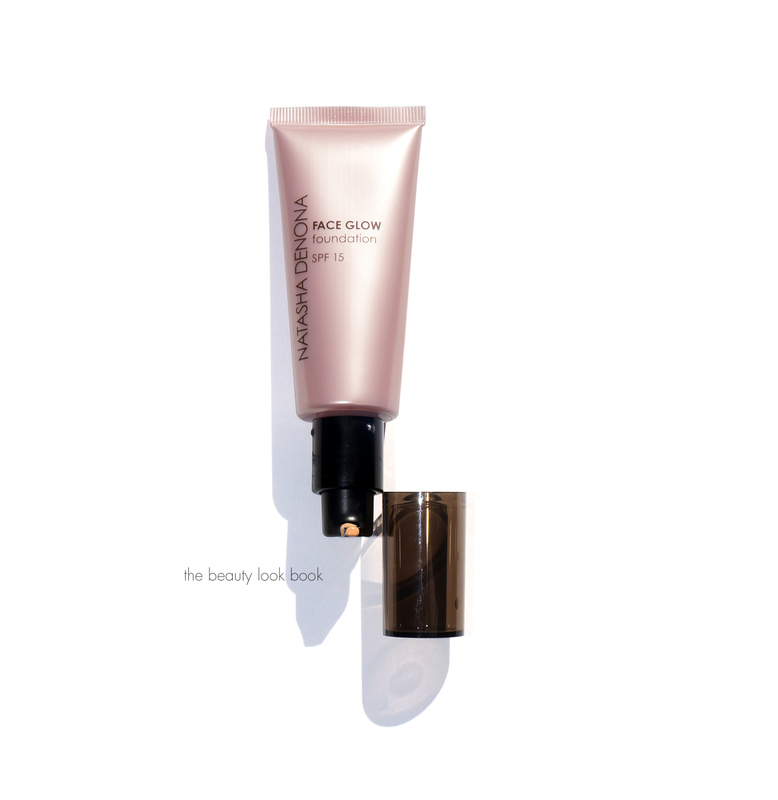 The Anti-Shine Flawless Base feels like a gel formula and glides evenly over the skin. It feels slightly thick when you blend onto the skin, but once it sets it’s not thick and smooths out the skin. It doesn’t make the face look matte but it helps prevent shine and with the Face Glow Foundation it helped extend wear and did reduce shine throughout the day (compared to when I tested it without the primer). I liked that it didn’t clog pores or irritate my skin. I haven’t tested it with other formulas of foundation though. At IMATS I tested the Face Glow Hydrating Primer Underbase ($35) and it felt amazing so I ordered it the next day. It’s almost like a cushiony moisturizer and it feels incredible on the skin. It reminds me of a more emollient version of the Charlotte Tilbury Magic Cream. This one is definitely best for those with dry skin. Right now I have normal combination skin. I tested this on several occasions and found it too rich and moisturizing for my skin type. It’s going to be regifted to one of my friends who has super dry skin. 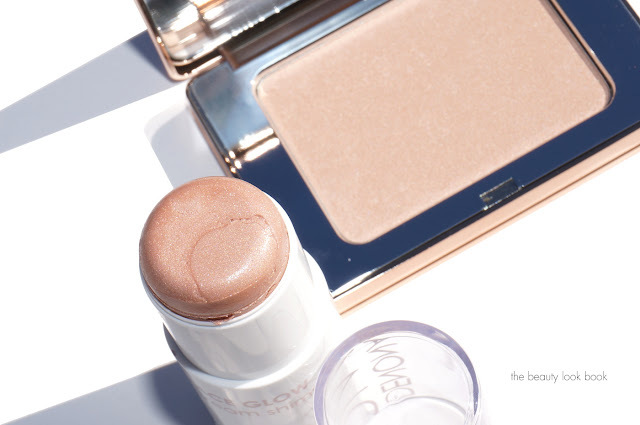 I was matched sight unseen to the Face Glow Foundation ($42, c/o) in Shade 30. You can see the color face chart online at Beautylish which I think is super helpful. When I apply it, the color looks just the a bit too light, but once it sets it darkens just the slightest bit so it’s a fairly good match. I can also fix this with a slightly darker powder. I checked out the next two shades in 40 and 42 while at IMATS. 40 was too pink and 42 was too dark. I’m in that skintone transition phase right now, so I don’t have a 100% exact match, but I can make 30 work without too much extra effort. The Face Glow Foundation has SPF15. It comes in a pump tube and to me feels like an in between BB cream and CC cream. It is on the thick side, similar to that of the Chanel CC Cream, but has a sheerer finish. The finish is sheer to medium. It’s not so sheer that it’s invisible. It does even out the skin but I would say this is best for those with near perfect skin. As the name implies this is a glowy kind of product. One of the more glowy ones I’ve tried lately. I found it absolutely necessary to set with powder. On my normal combo skin, it did get a bit too dewy by 2 pm for my taste. More dewy than other foundations. This one is perfect for going out at night if you have a special date night or want to look fresh and glowy. For everyday, I prefer something with more coverage and less dewy. Your mileage may vary – there are lots of customer reviews on Beautylish which I always find helpful. Next up are the glow products. 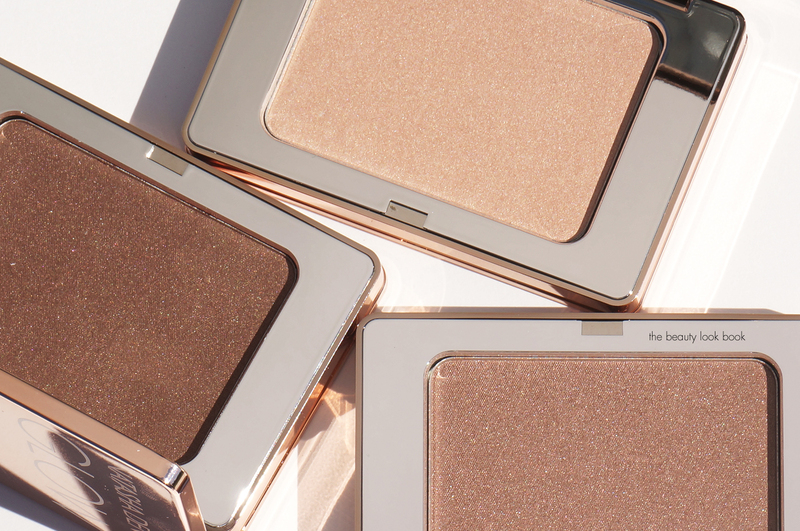 I love a good glow – there’s something about shimmery makeup that always gets me. There are three glow products for face and body. There are three shades for each one in Light, Medium and Dark. 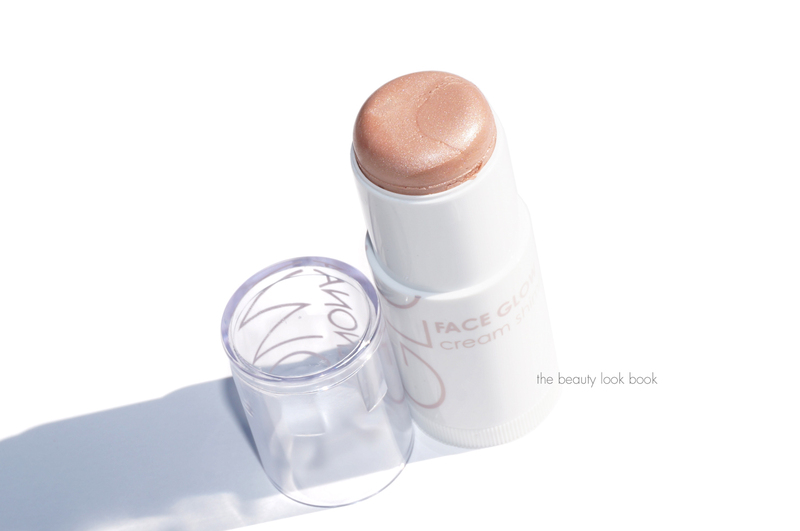 First up is the Face Glow Cream Shimmer Stick in Light 01 ($42, c/o) which is a champagne pearl cream. It comes in a twist up stick and gives a very glowy gleam to the skin. Out of the all the items I tried, I had the highest hopes for this, but am sad to report it did not work for me. This gives the skin a beautiful sheen and I love the color. The effect for my personal taste is simply too glowy – it makes the skin almost look wet. Even if I set with a powder on top (whether it’s a setting powder or powder highlighter) for me this one is just too glowy. If you read other reviews it has been very well received and raved about. I may be in the minority in my opinion on this one. The shimmer is fine and smooth (not frosty or glittery). It doesn’t emphasize pores. I just didn’t like the way this looked on my skin. I tried it multiple ways under foundation, over foundation, over blush, on cheekbones, on the eyes. Next up are the All Over Glow Face and Body Shimmer Powders ($38 each). Beautylish sent me Light 01 (c/o) which is one of the prettiest champagne shimmers I’ve tried. The powder is on the shimmery side but I don’t find it overly frosty. Pigment is excellent and easy to blend. It makes the skin glow to perfection. After playing with these at IMATS I fell in love with both the Medium 02 and Dark 03 and ordered them immediately. I love shimmer powders and these are amazing. I live for flesh toned shimmers and it’s hard to find ones that are tan or deep, somewhere in between a straight champagne or pure bronze. I think these are definitely worth a look. After playing with these, I still think Light 01 is the best for me, but Medium 02 gives my skin a slightly golden bronzey sheen. Dark 03 is definitely too dark for me to wear on the cheeks. I can wear it with a super light hand. I actually really like it on the eyes. 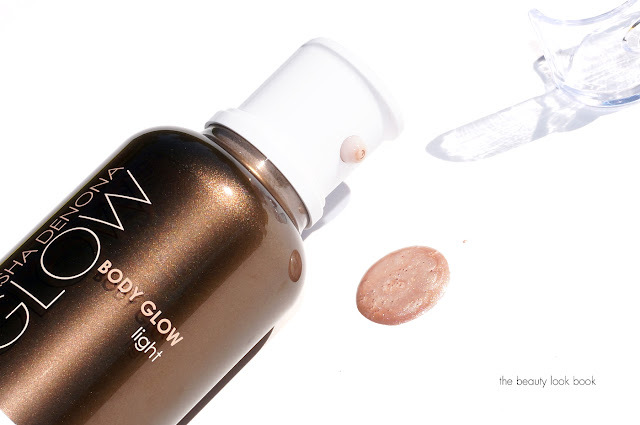 Next up is the Body Glow ($55, c/o) which also comes in three shades Light, Medium, and Dark. I have light shown below. I didn’t get a chance to see the other shades at IMATS (too many other distractions to play with). This gives the skin a luminescent glow. I applied it heavily in the swatch below next to Charlotte Tilbury’s Supermodel Body Shimmer. Once you blend on the skin, both of them dry to the same naturally glowy finish. I would say the one from Charlotte Tilbury has sparkles that are slightly larger and more visible while the one from Natasha Denona has a very similar effect but more fine shimmer. I’m not one who wears body shimmer products frequently (maybe I should start) but this one is very pretty and natural looking. It dries quickly so there’s little to no transfer to loose clothing. For me this is nice to have, but not necessary. 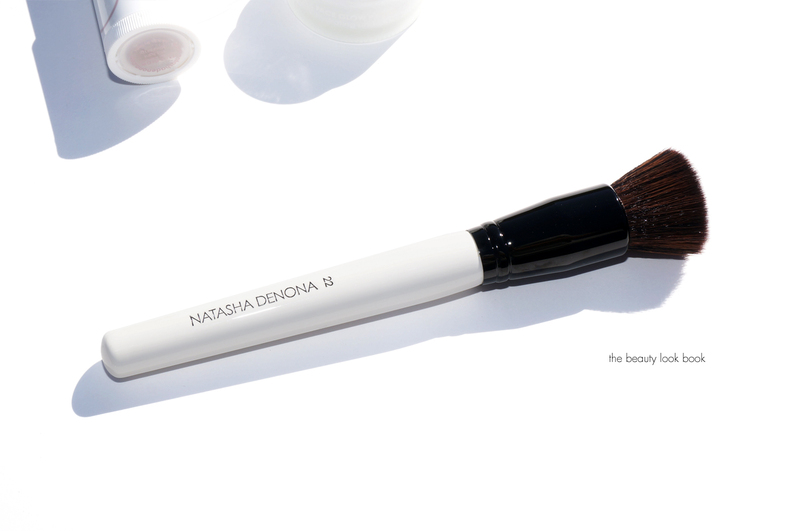 Last but not least, the Natasha Denona Glowing Skin System from Beautylish comes with a bonus brush. I think the option may vary per set. I was sent the Brush #22 (c/o) which is a foundation brush. 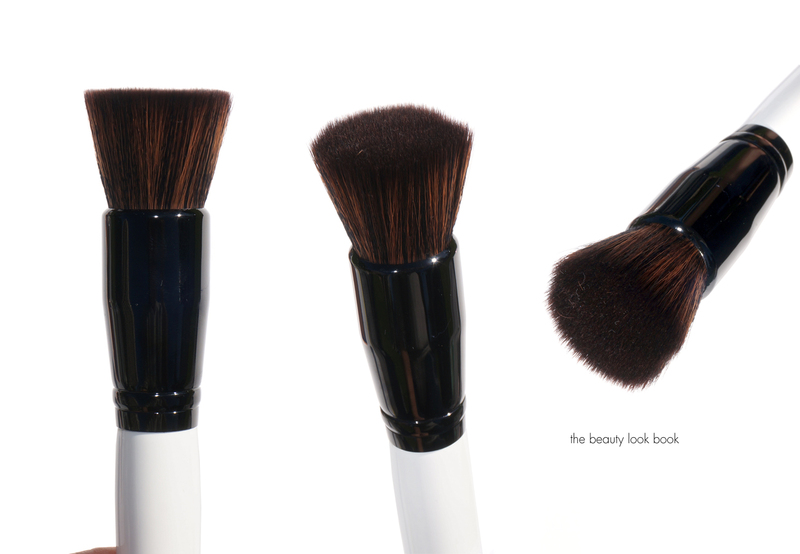 It’s a flat top brush that is very soft and dense. I actually prefer this one for the powder highlighters. It picks up just the right amount of product and applies powder perfectly to the face. I didn’t expect much from it since I’m usually not a fan of flat top brushes (they almost always end up feeling like the poke my face), but this one is insanely smooth at the top and feels amazing. It’s not available separately on Beautylish yet, but I hope they will launch it soon. If you’re looking for a makeup base collection to give you some serious glow, the Natasha Denona line is definitely worth a look. Out of all the items I tried, my top picks are the Face Shimmer Powders in Light and Medium and the Brush #22. 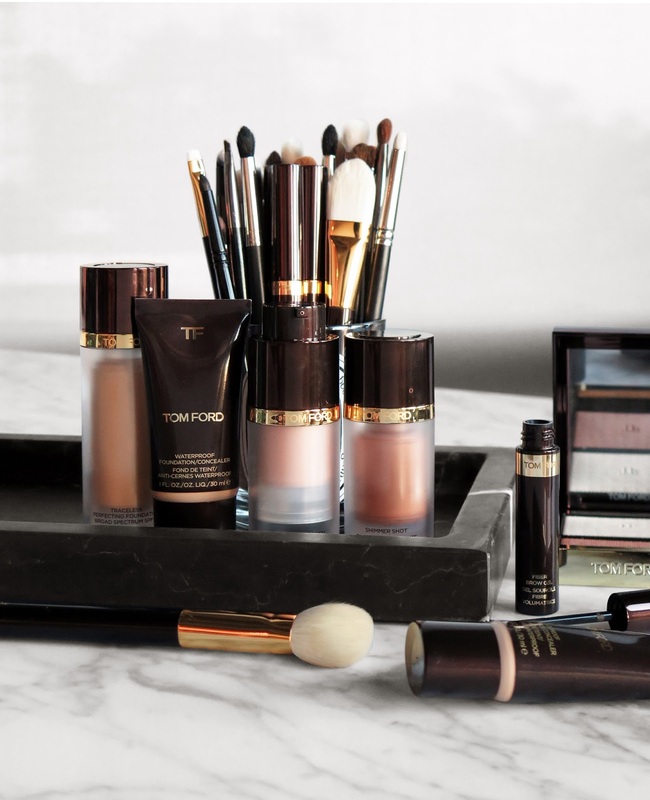 Of course you don’t need to use the entire system – the pieces are nice to incorporate into your everyday routine or nice to add for a bit more glam and glow for an evening look. There’s been a lot of buzz about Natasha’s line and I’ve been watching videos to try and decide what lip colors to try out. I have been testing one of her blush duos and an eyeshadow palette. I hope to have a review up soon on both. Have you tried anything from Natasha Denona? If yes, what do you recommend? You can find the Glowing Skin System now at Beautylish. The rest of her line is expected to launch there by the end of February. Glowing Skin System sent courtesy of Beautylish indicated by c/o, Face Powders in Medium and Dark and the Hydrating Primer purchased by me.